Asif Khan works on and co-manages several partnerships and projects with private sector companies, UN agencies and NGOs at the United Nations Foundation (UNF). He concentrates on cross-cutting partnerships and also issues such as big data, women, girls & and population. He works closely on connecting businesses to the UN’s post-2015 development agenda. Asif is also an active member of the UNF’s Youth Task Force working on involving boys in female empowerment, and does various youth related outreach in New York and Washington. 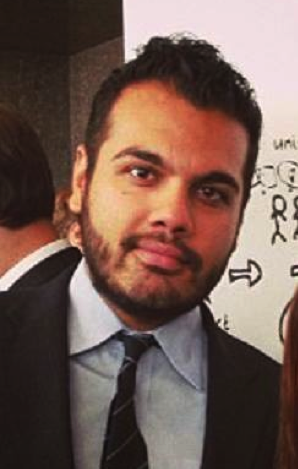 Prior to joining the New York office Asif was the Global Coordinator for the Mobile Alliance for Maternal Action (MAMA) in Washington D.C. from 2012-13. Prior to that he worked in operations and partnerships at Earth Day Network where he helped plan and organize the Climate Action Gala, Earth Day 2012 and Rio+20. Previously he conducted business development efforts and research on Central Asia and the Middle East for the Washington based advising firm, Sidar Global Advisors. Before moving to Washington he spent three years in New York City working in investor relations and financial writing at The Jordan Company and Alliance Bernstein. He also has field work experience working for the National Commission for Human Development in Northern Pakistan, and spent time studying and working in Istanbul and Buenos Aires. Asif wrote a socio-political column for The Massachusetts Daily Collegian from 2003-6. And is fluent in Urdu, Spanish and Turkish. He has a BA in Political Science from the University of Massachusetts, Amherst and an MA in International Relations from the University of Warwick.